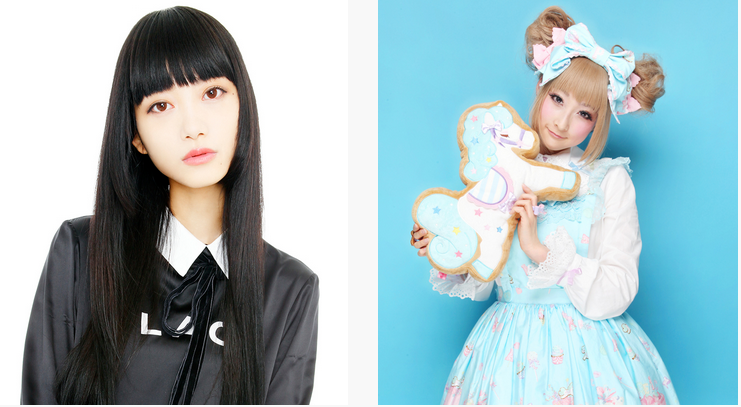 Moshi Moshi Nippon Festival 2015 in Los Angeles announces the addition of singer and voice actress Becca as a performance guest of honor at its inaugural event this August. She will be performing as part of the entertainment for the KKS Audition 2015 finals on Saturday, Aug. 1, hosted by Kawaii Kakkoii Sugoi. The auditions are for talents who are influenced by Japanese culture and dream of becoming the next big hits in Japan. There are no restrictions with regard to age, gender or nationality. All performances will be judged by producers from Asobisystem, former Japanese record label executives, and others. The first-prize winner will be provided with tickets to travel from the U.S. to Japan. This is a perfect opportunity for singers who love J-pop or anime songs, indie bands that are influenced by J-rock or visual kei, and music artists who incorporate vocaloids into their pieces. In addition to musicians, talents such as aspiring voice actors, passionate cosplay artists, amazing dancers, and even creative choreographers are welcomed. Becca has released eight albums in her career so far, ranging from pop to active rock. She’s been touring the U.S., fronting the band Stars in Stereo, blowing away audiences with her powerful vocals and energetic stage presence. She was most recently featured in Revolver’s “Hottest Chicks in Hard Rock” issue. 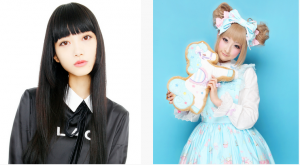 Amiaya, Ayumi Seto, YuRi, Hiko Achiha, and RinRin will take to the main stage for a special Harajuku fashion show. Since 2009, Kawaii Kakkoii Sugoi (KKS) has been dedicated to promoting Japanese culture, especially Japanese music, on a variety of SNS platforms, including a news website and a YouTube channel. So far, its YouTube channel has garnered over 41,700 subscribers. Kawaii Kakkoii Sugoi also successfully hosted the KKS Audition on Mobile App SURT in collaboration with major music labels in Japan in 2015. As one of the best North American promoters specialized in Japanese culture, Kawaii Kakkoii Sugoi is growing very fast. Some of its clients include Universal Music, Sony Music Entertainment, Live Viewing Japan, Perfume, L’Arc~en~Ciel, Vamps, Luna Sea, One OK Rock, Man with a Mission, Miyavi, and Scandal. More information can be found at www.kawaiikakkoiisugoi.com. Moshi Moshi Nippon Festival provides a gateway to Japan and its culture through entertainment, food and fashion, promoting tourism and business to Japan. Moshi Moshi Nippon Festivals have been popular in Europe and Asia and its Los Angeles event is the first stand-alone festival in the United States. Moshi Moshi Nippon Festival 2015 in Los Angeles will take place Saturday from 10 a.m. to 10 p.m. and Sunday from 10 a.m. to 5 p.m. at The Reef Magic Box, 1933 S. Broadway St. in Los Angeles. One-day ticket is $10 in advance, $12 at the door; two-day ticket is $18 in advance, $20 at the door. Moshi Moshi Nippon Festival is primarily presented through Japanese fashion and entertainment company Asobisystem and locally through Japanese culture and cuisine magazine JapanUp! in the greater Los Angeles area. For more information, visit www.moshimoshi-nippon-la.com.